Get out of town with these interesting Perth side-trips: Caversham Wildlife Park (in Whiteman) and Fremantle Prison (in Fremantle). 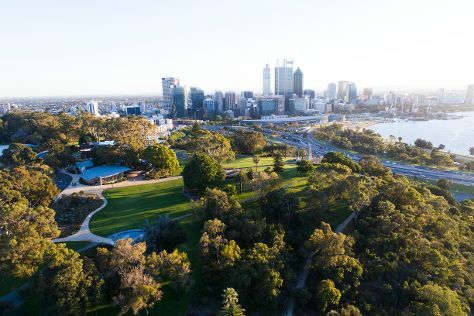 And it doesn't end there: admire the natural beauty at Kings Park & Botanic Garden, admire nature's wide array of creatures at Perth Zoo, take in the views from Elizabeth Quay, and contemplate the long history of The Perth Mint. To find out how to plan a trip to Perth, use our trip itinerary maker. If you are flying in from Poland, the closest major airport is Perth International Airport. In November, daily temperatures in Perth can reach 33°C, while at night they dip to 15°C. Wrap up your sightseeing on the 15th (Thu) early enough to travel back home.